There’s a fight unfolding in one of the richest neighborhoods in San Francisco, that northern-most outpost of Silicon Valley and the most expensive city in America. The struggle is over a new homeless shelter being built near some luxury high-rises and touristy areas, a proposal that’s shocked some of the city’s wealthier inhabitants. Slightly over a week ago, a group of residents led by a wealthy Silicon Valley lawyer launched a campaign to legally challenge the shelter’s construction. By Thursday, they had raised nearly $50,000 on GoFundMe from the group’s luxury high-rise headquarters. 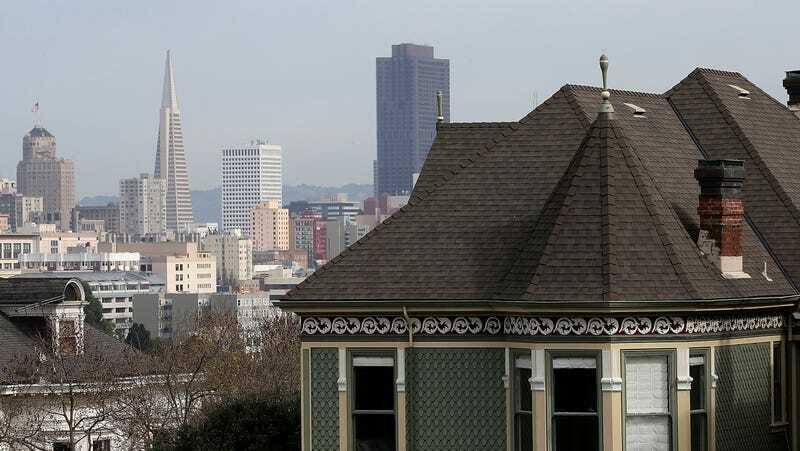 San Francisco is at the heart of a region with a widening wealth gap and acute homeless crisis. The campaign to quash the new homeless shelter soon garnered newspaper headlines and social media condemnation in the lead-up to what will be several April meetings where you can expect the kind of screaming matches and rants that only local politics can deliver. On Thursday, GoFundMe itself joined in the fight. A new fundraiser was launched mid-day Thursday to pay for legal costs and coordinate a strategy to get the homeless shelter built. By end of business on that first day, the group raised over $16,000, including a $5,000 donation from the GoFundMe team. The money will go to benefit the Coalition on Homelessness, a group dedicated to protecting the human rights of San Francisco’s considerable homeless population. “GoFundMe employees choose to nominate worthy causes throughout the year and we believe this campaign to support the Coalition is an important effort,” GoFundMe spokesperson Bobby Whithorne told Gizmodo. After seven hours, the pro-shelter project already has some 200 percent the number of donors that the anti-shelter fundraiser has garnered. But the anti-shelter fundraiser has some wealthy benefactors and is still nearly $30,000 in the lead, as of publication. In the end, however, the outcome of this situation is not decided by a horse race on two GoFundMe pages. The construction of the new shelter—actually, a navigation center, a specially built facility specifically designed to maximize safety and cleanliness—near the wealthy South Beach neighborhood stems from San Francisco Mayor London Breed’s pledge to begin to address the city’s homeless crisis by opening 1,000 new beds for homeless people by 2020. San Francisco, like the rest of Silicon Valley, is at the center of a massive wealth gap, a housing crisis, and a homelessness crisis. All three were important issues during the city’s 2018 mayoral election when Breed was elected. Earlier this year, Breed passed two new laws expediting the building of navigation centers that historically had been hamstrung by lengthy permit and challenge processes that kept any potential solutions moving at a glacial pace. They say the coldest summer you’ll ever spend is in San Francisco. But no matter who raises the most in this absurd GoFundMe-based fundraising battle, it will never be Silicon Valley’s rich who have to endure it outside without shelter.